Biologics are becoming important in the treatment of systemic and cutaneous autoimmune diseases. They are designed to target specific components of immune system. As the new drugs are capable of targeting proteins in a more specific fashion, yet have lower risks of systemic side-effects, they have considerable advantages over the older immunomodulators. The development of TNF-alpha blockers in the treatment of psoriasis, psoriatic arthritis, rheumatoid arthritis, Crohn's disease and ankylosing spondylitis have been major breakthroughs. Likewise, B-cell depletion has proved to be equally revolutionary for the treatment of lupus, pemphigus, certain vasculitides etc. But all said and done, the development of these molecules and their clinical usage are still at evolving stages. Consensus needs be formed to further categorize the clinical profiles of the patients in whom biologics are to be used in the future, given that the long-term safety profiles of these agents are very much unknown at present. Cutaneous vasculitides in childhood are rare and often present with clinical features distinct from adults. Diagnosis of cutaneous vasculitides in children was difficult because of lack of a satisfactory classification systems for this age group. A new international classification system for childhood vasculitis has been discussed in the following section along with important clinical features, diagnostic modalities, and recent therapeutic developments of important vasculitides in children. Evidence-based dermatology is the application of high-quality evidence to the care of individual patients with skin diseases. The Centre of Evidence-Based Dermatology in the UK promotes activities in this field through its three interlinking cogs, composed of the international Cochrane Skin Group, the UK Dermatology Clinical Trials Network (UKDCTN), and the UK national electronic library for skin disorders. The Cochrane Skin Group summarises what is already known about health care interventions by supporting systematic reviews of relevant randomized controlled trials (RCTs). The UKDCTN then addresses the key research gaps identified in systematic reviews by coordinating and carrying out well-designed RCTs. The Skin Disorders specialist library then plays a key role in disseminating new knowledge from systematic reviews and RCTs to a community of clinical users. The electronic resources at the Centre of Evidence-Based Dermatology are all freely available to Indian Dermatologists who can use the resources in a way that could benefit their patients. Such new knoweldge only has value if it is shared and used. Background: Childhood vitiligo is always a challenge to treat, especially when the disease is progressing rapidly in such a patient. Oral minipulse with betamethasone has been tried in childhood vitiligo and also in some other immune mediated skin disorders with good results. Aims: The aim of the present study was to see the overall efficacy of methylprednisolone oral minipulse therapy in combination with topical fluticasone in progressive childhood vitiligo. The combination was tried to achieve a significant amount of repigmentation of vitiligo lesions already present at the initial visit. Materials and Methods: Four hundred children with progressive vitiligo were enrolled for this study and were prescribed oral methylprednisolone on two consecutive days every week in a minipulse form for a period of six months. In addition, the patients were instructed to apply fluticasone ointment topically once a day on their vitiligo lesions. The patients were assessed for the remission achieved as well as the extent of repigmentation of their already existent lesions. Results: More than 90% of patients went into complete remission after the start of the therapy. Moreover, about 65% (two-thirds) of patients achieved good to excellent repigmentation of lesions at the end of six months of therapy. The therapy was also well tolerated and the side effects seen were almost negligible. Conclusions: Oral minipulse treatment with methylprednisolone is an effective treatment option for controlling the disease spread in childhood vitiligo and with the addition of topical fluticasone the extent of repigmentation achieved is also quite significant. Context : An epidemic of chikungunya disease occurred in India during late 2005 through 2006 affecting nearly 1,400,000 people. 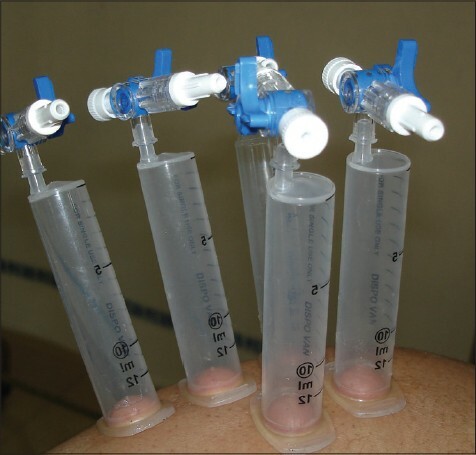 Aim : To study the cutaneous manifestations in suspected cases of chikungunya disease. Settings and Design : Patients who attended our outpatient departments from January 2006 to September 2006 were prospectively included if they had symptoms of chikungunya disease according to the 'case definition' of the National Institute of Communicable Diseases, Directorate General of Health Services, Government of India. The criteria were an acute illness characterized by the sudden onset of fever and several symptoms such as joint pain, headache, backache, photophobia, and eruption during an epidemic of chikungunya fever in the absence of confirmatory serological tests. Materials and Methods : A total of 115 patients (65 men and 50 women) who satisfied the above criteria were enrolled for the study. Results : An erythematous maculopapular rash subsiding without any sequelae in 3-4 days was the most common cutaneous finding in our patients. Genital ulcers distributed predominantly over the scrotum and base of the penile shaft in men and labia majora in women were the second most common manifestation. 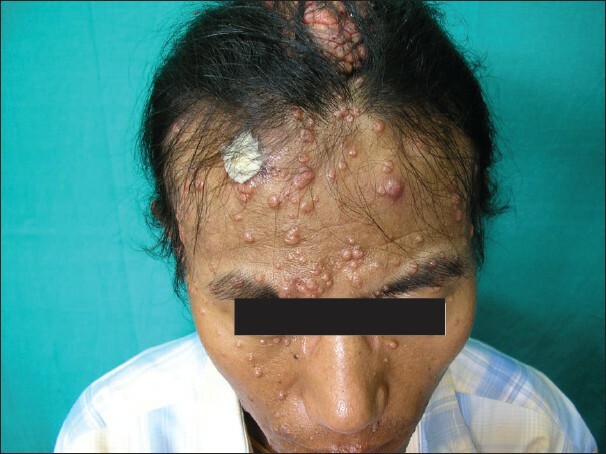 Other manifestations included tenderness/edema of hands and feet, grouped hyperpigmented macules over the nose and cheeks, fixed drug eruptions, erythema nodosum, erythema multiformae, generalized urticarial eruptions, and flare up of pre-existing psoriasis and lichen planus. 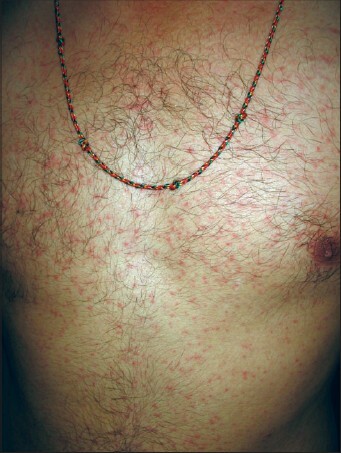 Conclusions : To conclude, a plethora of cutaneous manifestations were noted in suspected cases of chikungunya disease. Genital ulcers, to the best of our knowledge, have not been reported during the earlier epidemics but have been reported by others during the present one. Background : Systemic lupus erythematosus (SLE) is an autoimmune disease with multiorgan involvement. The skin is the second most commonly affected organ. 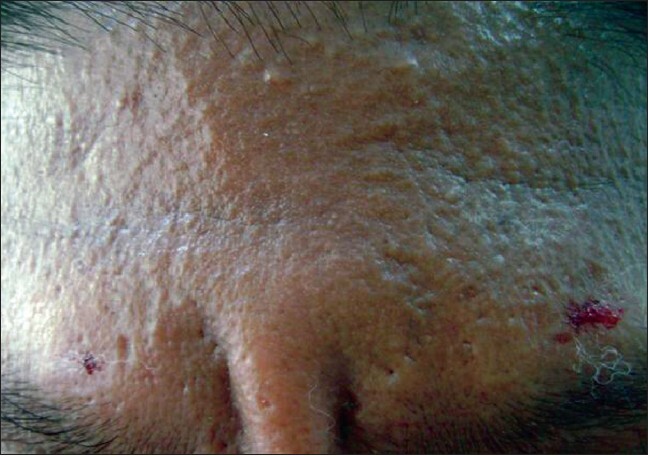 SLE with skin lesions can produce considerable morbidity resulting from painful skin lesions, alopecia, disfigurement, etc. Skin lesions in patients with lupus may be specific (LE specific) or may be non specific (LE non specific). Acute cutaneous LE (Lupus specific) has a strong association with systemic disease and non-specific skin lesions always indicate disease activity for which patients present to rheumatologists and internists. Therefore, a thorough understanding of the cutaneous manifestations of SLE is essential for most efficient management. Aims: The aims of this study were to evaluate the patterns and prevalence of skin lesions in patients with SLE and to assess the relationship between skin lesions and other systemic involvement. Materials and Methods: At the Department of Rheumatology and Clinical Immunology, IPGME&R in Kolkata, 150 patients with SLE fulfilling the clinical and laboratory criteria of the American Rheumatology Association (updated 1982) were examined and followed-up for cutaneous manifestations between January 2002 and January 2007. Results: Skin lesions were important clinical features. 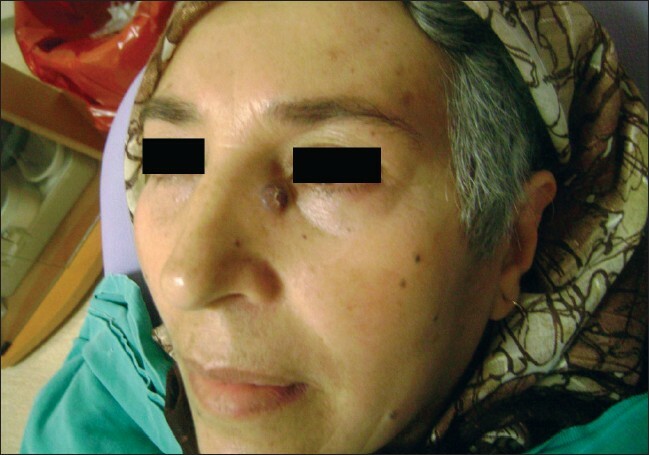 About 45 patients (30%) presented with skin lesions although all patients had skin lesions during the follow-up period. Skin changes noted were as follows: Lupus specific lesions: malar rash in 120 patients (80%), photosensitive dermatitis in 75 patients (50%), generalized maculopapular rash in 40 patients (26.67%), discoid rash in 30 patients (20%), subacute cutaneous lupus erythematosus (SCLE) in 5 patients (3.34%), lupus profundus in 5 patients (3.34%). The lupus non-specific lesions were non-scarring alopecia in 130 patients (86.67%), oral ulcers in 85 patients (56.67%), vasculitic lesions in 50 patients (33.34%), bullous lesions in 15 patients (10%), Raynaud's phenomenon in 10 patients (6.67%), pyoderma gangrenosum in 2 patients (1.34%), erythema multiforme in 10 patients (6.67%), and nail fold infarcts in 2 patients (1.34%); however, mucosal discoid lupus, lichenoid discoid lupus, livedo reticularis, sclerodactyly, etc. were not detected. Patients having lupus-specific skin lesions e.g., malar rash were associated with systemic involvement, whereas those having lupus non-specific skin lesions were associated with disease flare. Conclusions: Skin lesions in patients with SLE are important disease manifestations and proper understanding is essential for diagnosis and efficient management. Background: Allergic contact dermatitis is one of the important occupational hazards in construction workers and it often leads to poor quality of life of the workers with substantial financial loss. However, this is often a neglected entity. 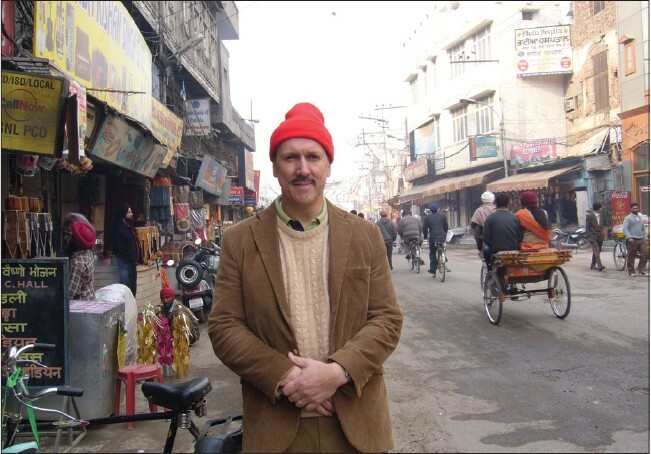 There are no past studies on the construction workers in Indian subcontinent. Objective: This pilot study has been done to assess the allergological profile among the workers engaged in construction of roads and bridges. Materials and Methods: The study was conducted among the workers working on construction of a bridge, flyover, and roads in West Bengal, India. Sixteen workers were selected on clinical suspicion. Ten were selected randomly and patch tested with Indian standard battery of patch test allergens. Analysis of reactions and relevance of positive test was assessed as per standard guidelines. Results: All the workers were men. Average age of workers was 24.8 years (range, 19-34 years). Dermatitis affected exposed parts in 93.75% and covered areas in 62.5%. Total positive test was 24 and relevant 11. Most common allergens were chromate (relevant allergy/RA: in 60% of patch tested workers), epoxy resin (RA: 30%), cobalt (RA: 20%), nickel (RA: 20%), thiuram mixture (RA: 10%) and black rubber mix (RA: 10%). 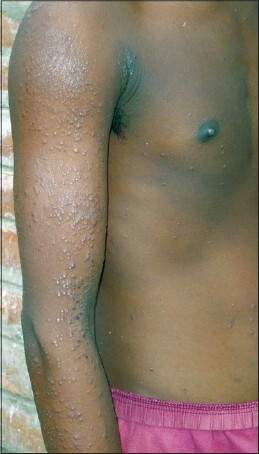 Two cases (20%) had irritant contact dermatitis. Conclusion: The result indicated that chromate is the most frequent allergen among construction workers in this part of India. High frequency of involvement of the covered areas as well as the exposed areas highlighted the fact that the allergens had access to most body parts of the workers. Cellular grafting methods constitute important advances in the surgical management of leucoderma. Different methods such as noncultured epidermal suspensions, melanocyte cultures, and melanocyte-keratinocyte cultures have all been shown to be effective. This article reviews these methods. 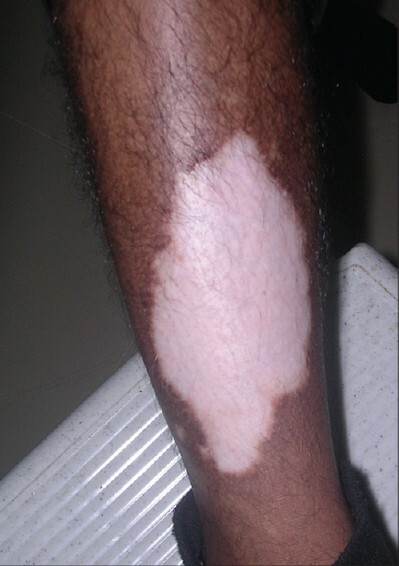 Vitiligo, characterized by depigmented macules is a common disorder with a high psychosocial impact, particularly in darker skins. Surgical methods become important in cases where medical therapy fails to cause repigmentation or in cases of segmental vitiligo where the response to surgery is excellent. The basic principle of surgical treatment is autologous grafting of viable melanocytes from pigmented donor skin to recipient vitiliginous areas. Various grafting methods have been described including tissue grafts and cellular grafts. Stability of the disease is the most important criterion to obtain a successful outcome. Counseling of the patient regarding the outcome is vital before surgery. The technique and followup management of the tissue grafts has been described in detail in this review. Vitiligo is a result of disrupted epidermal melanization with an undecided etiology and incompletely understood pathogenesis. Various treatment options have resulted in various degrees of success. Various surgical modalities and transplantation techniques have evolved during the last few decades. Of them, miniature punch grafting (PG) has established its place as the easiest, fastest, and least expensive method. Various aspects of this particular procedure have been discussed here. The historical perspective, the instruments, evolution of mini grafting down the ages, and the methodology, advantages, and disadvantages have been discussed. A detailed discussion on the topic along with a review of relevant literature has been provided in this article. Clear cell sarcoma (CCS) is a recently described variant of sarcoma characterized by prominent clear cells showing features similar to clear cell melanoma. This neoplasm was first described by Dr. Franz M. Erzinger. Primary CCS usually arises in deeper soft tissues, in association with fascia, tendons, or aponeuroses. Characteristic translocation t(12;22) (q13;q12) has been considered pathognomonic for CCS. Prognosis is related to tumor size. An early recognition and initial radical surgery is the key to a favourable outcome. 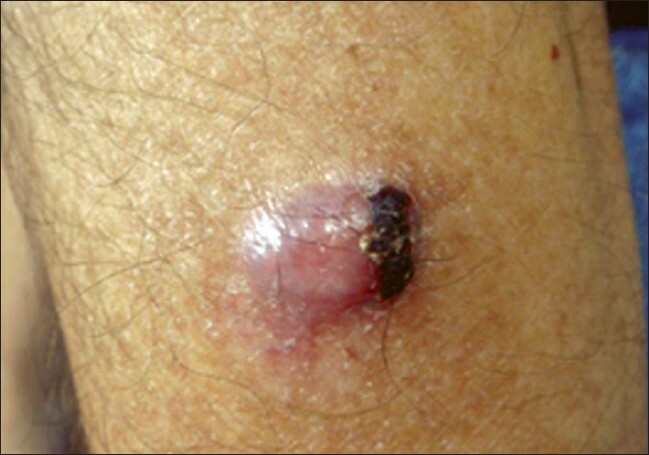 We present a patient with an unusual neoplasm that resembled malignant melanoma. Malignant eccrine spiradenomas are exceedingly rare tumors. They can arise from a preexisting eccrine spiradenoma or occur as a primary malignant tumor. Clinical features of these tumors may include a history of enlargement in a previously stable lesion. Tumor can be of low or high grade. Low-grade malignant eccrine spiradenoma has a better prognosis. We present a malignant eccrine spiradenoma arising from a preexisting eccrine spiradenoma, which has an infrequent localization between lateral edge of nose and medial canthus. Xanthomas are often a manifestation of underlying lipid abnormalities. 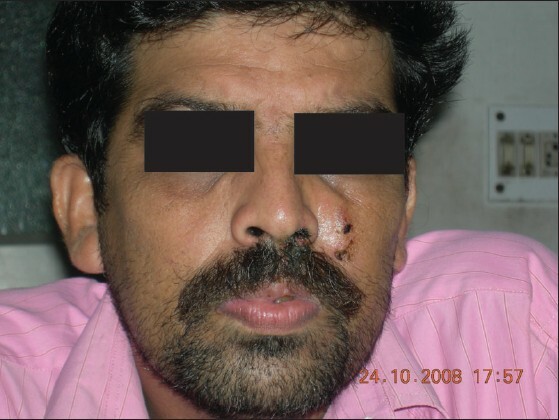 A 50-year-old male presented to our hospital with the lesions of multiple tuberous xanthomas all over the body. Routine investigations and systemic examination were normal. Lipid profile was within normal range and serum protein electrophoresis showed normal pattern. Histopathology from a nodular lesion showed collection of foamy macrophages in the dermis. We present a case of normolipemic tuberous xanthomas, which is an uncommon occurrence. Molluscum contagiosum (MC) is caused by a double stranded DNA virus belonging to the pox virus family. MC lesions are usually pearly, dome shaped, small, discrete lesions with central umbilication. In HIV-positive patients atypical varieties are found. They may be large or nonumbilicated. Individual papules may join to form the agminate variety. This form is rare. Lesions of MC in healthy immunocompetent patients may occur at any part of the body including face, trunk, and limbs. Sexually active adults have lesions usually on the genitalia, pubis, and inner thigh, rarely on the face and scalp. We present a case of agminate MC occurring in a patient with acquired immunodeficiency disease responding to highly active antiretroviral therapy. 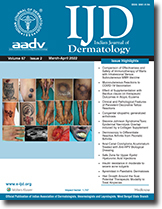 Background: The severity of atopic dermatitis (AD) has been reported to be reduced by dietary eliminations in a subset of patients with AD. Aims: To assess the reduction of the severity of atopic dermatitis in infants and children after eliminations of certain dietary items. Materials and Methods: The study group comprised of 100 children with atopic dermatitis. Their severity of itching, surface area of involvement, and SCORAD index were measured. Patients who did not have any systemic disease or were not on systemic corticosteroids were included in the study. Selected patients were advised to strictly adhere to a diet excluding milk and milk products, all kinds of nuts and nut-containing foods, egg and egg-containing foods, seafish and prawns, brinjal and soyabean for a period of 3 weeks. Instead of these avoided items, the food items to be included freely to maintain proper nutrition were dal and dal products, rohu fish, chicken, and fruits. All the preintervention parameters were measured again after 3 weeks. Results: There was a statistically significant reduction in severity scores after dietary elimination alone. Conclusion: Dietary elimination helped to alleviate symptoms and signs in a subset of infants and children with AD.